Who is behind Prestbury Marketing? The lotus® PRO Cleaning System quickly transforms water into aqueous ozone – nature’s cleaner – by simply infusing water with ozone, which the unit can efficiently stabilise for up to 24 hours. The infused water or aqueous ozone is totally chemical free and serves as a viable alternative to potentially harmful chemical cleaning products. Capable of producing a continuous flow of approximately 14 litres of aqueous ozone per minute – using the equivalent power of just two 40 watt bulbs – the solution provides a residue-free cleaner that guarantees a longer lasting clean as well as reduced slip hazard on any surface. As well as eliminating pathogens, grime and grease, the solution uses no toxic chemicals which means there are no hazards from splashing, fumes, skin or eye irritation and is safe for sufferers of asthma. It also improves productivity as no rinsing is required as found with most chemical cleaners currently available on the market. The lotus® PRO Cleaning System has the ability to clean at the same level of chemical cleaning products whilst representing none of the detrimental costs that come with the. Aqueous ozone is totally chemical free and is also environmentally risk free when being disposed of. Once used it safely reverts back into ordinary water and oxygen. The solution that is left can then be poured away. With aqueous ozone, there is no lasting harmful residue left on the ‘cleaned’ surface as well as no potential harmful chemical solutions being left in mop buckets or spray guns. The lotus® PRO Cleaning Solution is currently installed across a wide range of UK businesses including Price Waterhouse Coopers, The Mid Yorkshire Hospitals NHS Trust, London Luton Airport, as well as Cameron House Loch Lomond and The Balmoral Edinburgh. 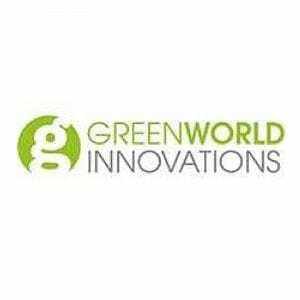 Prestbury Marketing provide Green World Innovations with a full Marketing and PR support service.